We offer everything that corporations look for in a place to bring their employees, guests and their companions. As the day ends you retire to your guest lodge, place another log on the fire, relax on a soft leather sofa and talk about another unforgettable day. Each of our five guest lodges has five bedrooms, with two double beds and a private bath in each room. The luxury log cabins were built by Heritage Log Homes, of Gatlinburg, Tennessee. All lodges have a central great room with telephone, hardwood pine floors, wood burning fireplaces, satellite T.V. 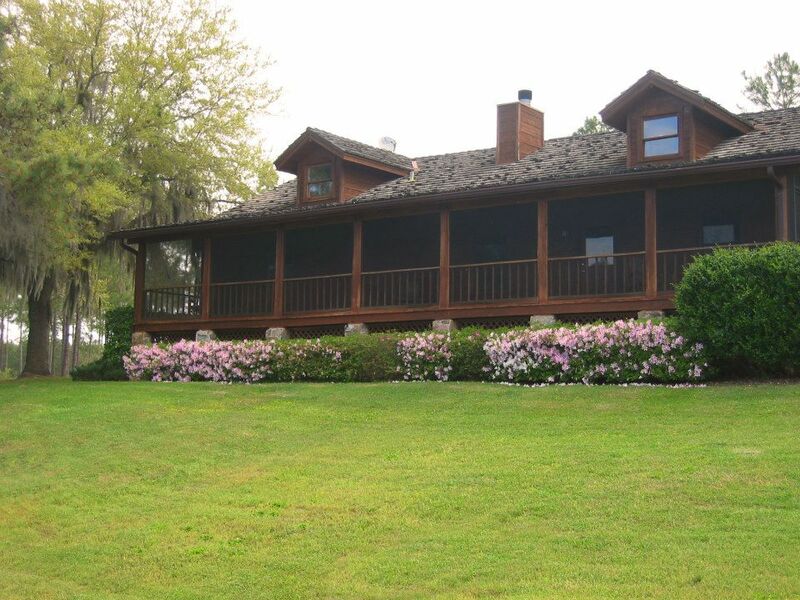 wireless internet, full kitchens, and screened in back porches overlooking Lake Purvis. Two of our five lodges can accommodate small meetings. If a larger meeting is required, our Main Lodge would be available for groups from 30 to 50 persons.